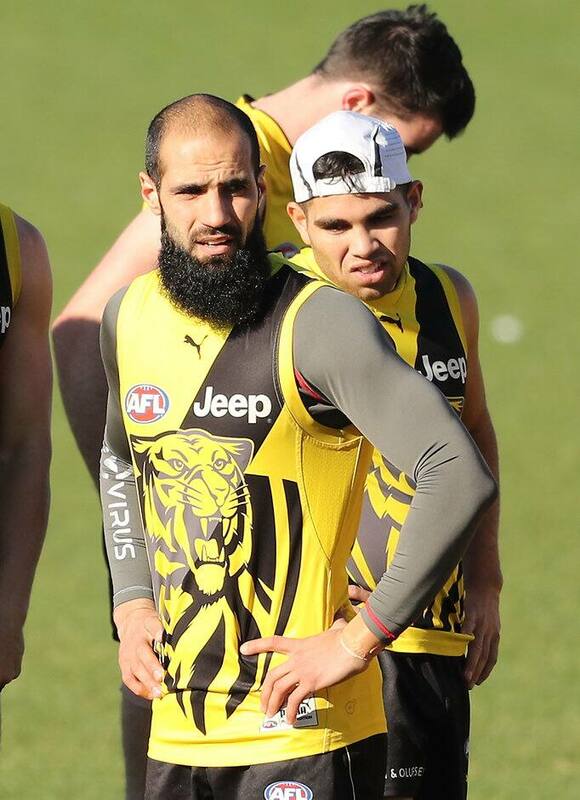 RICHMOND faces a difficult selection decision as it prepares to welcome back Bachar Houli from a four-match suspension, with the half-back set to return against Gold Coast at Metricon Stadium on Saturday night. Houli has completed his ban for striking Carlton's Jed Lamb in round 14 in a controversial case that was ultimately sent to the AFL Appeals Board to overturn an initial two-match sanction. Coach Damien Hardwick said the 29-year-old had been productive in his month-long absence and would be recalled immediately as the Tigers look to establish a foothold in the top four. "He's an important player to us, he's an elite half-back, so he will come back in," the coach said on Sunday night. "Who goes out is probably the difficult thing. We've had some players that have played really well in those roles. "We'll slot him in, how that works we're not too sure yet." Midfielder Corey Ellis played his third game for the season against Greater Western Sydney and was impressive behind the ball, while Nathan Broad has been given a chance at half-back the past two weeks. The Tigers have also benefited from the return of small defender Nick Vlastuin during Houli's absence. Brandon Ellis and Jayden Short have been the Tigers' prime rebounding options during Houli's absence and are both enjoying strong seasons.